The AirGuard Split Extreme is made with the same heavy duty double layer gasket system, incorporating a flexible EDPM synthetic “rubber” gasket material along with AirGuard brush technology found in the industry favorite AirGuard Extreme. The Split Extreme is split into two pieces to allow for sealing cable cutouts after cables have already been pulled and installed. 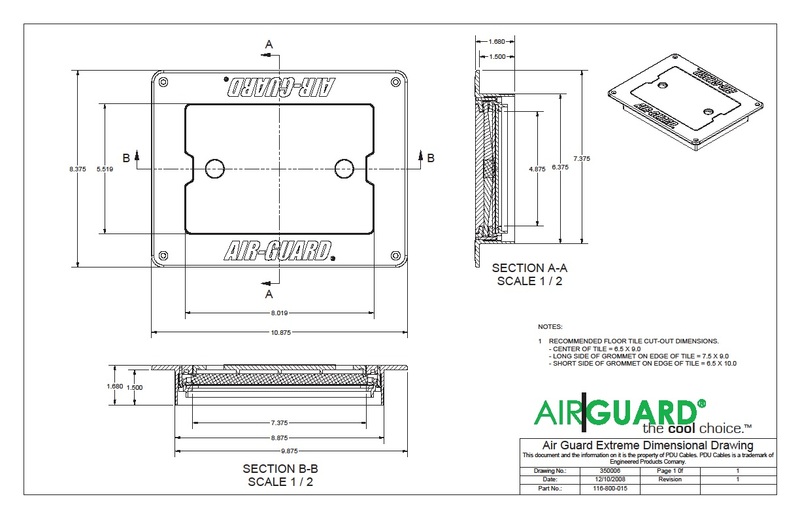 The AirGuard Split Extreme is a heavy duty double layer gasket system, incorporating a flexible EDPM synthetic “rubber” gasket material along with AirGuard brush technology to deliver airtight seals around cables, helping to eliminate air leakage and control air bypass in under-floor air installations. Designed to seal openings in raised floor cutouts after installation of communications or power cabling. Both the AirGuard Split Extreme and its integrated safety cover are manufactured from flame retardant ABS poly-carbonate material that provides a finished look on all raised floor panels. Solid construction and the textured surface compliment all floor coverings. 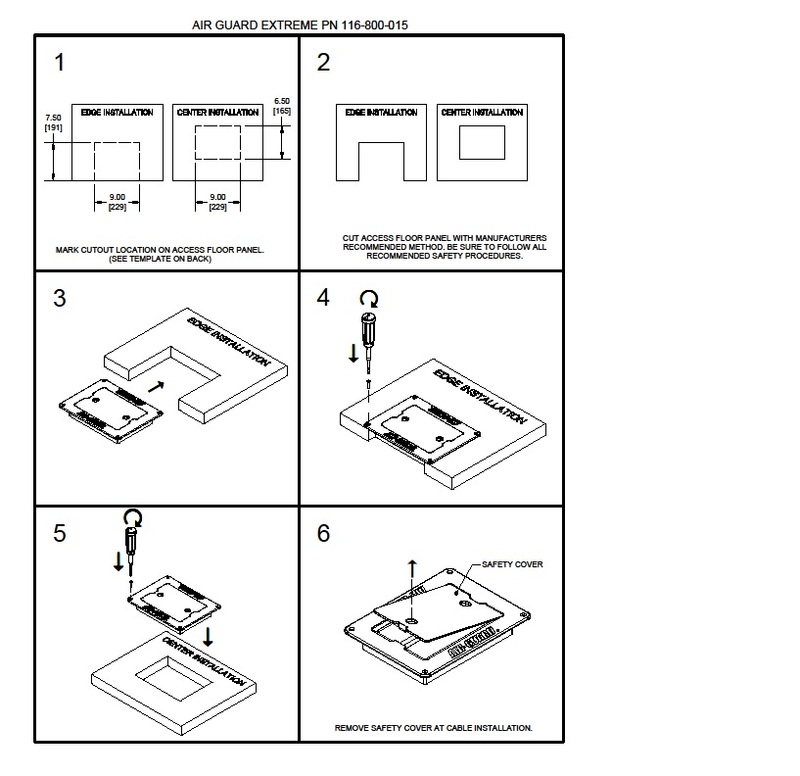 Included with each product are installation instructions and mounting hardware.